The University of Central Florida seeks to fill positions for its new student ambassador team at UCF Downtown for the Spring 2019 semester. Ambassadors will represent the university to the highest degree and participate in community engagement events to usher in the opening of our new campus in downtown Orlando in August 2019. Ambassadors should be well-rounded UCF students who excel academically while being actively involved in the university life. Serving ten hours a week or less during the semester, Ambassadors will work to educate UCF students about UCF Downtown through a variety of in-person and online initiatives, including university events and social media marketing. A successful candidate will have a flexible schedule, be a good communicator, organized, proactive, possess good time management skills and have an eye for detail. Students enrolled in a downtown campus major and with prior internship or work experience is preferred. Minimal travel is required for this position, which is based at UCF’s main campus. 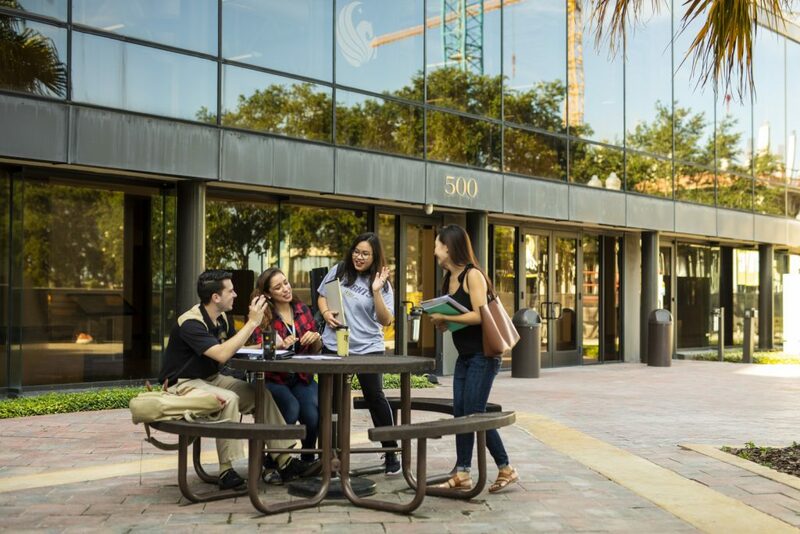 Represent UCF Downtown by providing appropriate information to current and incoming UCF students at tabling events, information booths, and outreach events like Market Wednesdays in collaboration with UCF faculty and staff. Provide information and materials, and conduct presentations about the downtown experience to small and large groups such as student clubs, student organizations, and classes. Attend required regular team meetings to discuss experiences, programs, performance, and ongoing training. Take into account prospective student needs and make referrals to appropriate units. Assist in planning and execution of (3) student campus events and activities until the opening date in August 2019. Volunteer for UCF Downtown events. Assist with content creation for UCF Downtown social channels, marketing materials and other promotional activities. Regularly post about UCF Downtown on personal accounts and in university-related groups, i.e., student clubs, organizations, etc. UCF students interested in the Student Ambassador position should send a resume and cover letter to UCFDowntown@ucf.edu with the subject line: “Student Ambassador Application” no later than Thursday, Jan. 10, 2018 at 5 pm. Interviews will take place in mid-January with a start date in early to mid- to late-January.